Reproduced from the Atlas of New Hampshire, published in 1892 by D. H. Hurd. 54 Items. Showing Items 1 thru 50. NH058A 1892 Old MAP of Amherst, New Hampshire (NH). NH059 1892 Old MAP of Lyndeborough, New Hampshire (NH); insets of Amherst P.O. and South Lyndeborough P.O. NH060 1892 Old MAP of Part of Manchester - Ward 6; Valley Street to Baker Street. NH062 1892 Old MAP of Mont Vernon, New Hampshire (NH); inset of Mont Vernon P.O. NH062A 1892 Old MAP of Sharon, New Hampshire (NH). NH063 1892 Old MAP of Weare, New Hampshire (NH); insets of North Weare, Weare Center, East Weare and Oil Mill. NH064 1892 Old MAP of Part of Manchester, Lake to Harrison, Ashland & Wilson to Union. NH066 1892 Old MAP of Inset of Goffstown P.O., New Hampshire (NH). NH066A 1892 Old MAP of Pelham, New Hampshire (NH). NH067 1892 Old MAP of Goffstown, New Hampshire (NH); inset of Goffstown Center P.O. NH068 1892 Old MAP of W. Manchester-Ward 8, Piscataguog River. NH070 1892 Old MAP of Hancock, New Hampshire (NH); inset of Hancock P.O. NH071 1892 Old MAP of Francestown, New Hampshire (NH); inset of Francestown P.O. NH072 1892 Old MAP of Part of Manchester - part of Ward 2, Amoskeag to Union Street. NH074 1892 Old MAP of Greenville & Mason; insets of Greenville P.O. NH075 1892 Old MAP of Brookline; inset of Brookline P.O. NH076 1892 Old MAP of Part of Manchester; Merrimack River - Union St, Central to Pennacook St.
NH078 1892 Old MAP of Antrim, New Hampshire (NH); inset of Antrim P.O. NH079 1892 Old MAP of Greenfield, New Hampshire (NH); insets of Greenfield P.O., Wilton P.O., Wilton Center. NH080 1892 Old MAP of Merrimack & Litchfield, New Hampshire (NH). NH081 1892 Old MAP of Wilton, New Hampshire (NH). NH082 1892 Old MAP of Peterborough, New Hampshire (NH); inset of West Peterborough P.O. NH083 1892 Old MAP of New Ipswich, New Hampshire (NH); insets of New Ipswich P.O., Bank Vil. P.O., & Smith Village. NH084 1892 Old MAP of Nashua, New Hampshire (NH). NH086 1892 Old MAP of Nashua - Wards 7 and 8. NH087 1892 Old MAP of Nashua, Worthen & Allos Streets to Main St., Temple St. to Bowers St.
NH088 1892 Old MAP of Nashua, Nashua River to Start St., Cushing St. to Concord St.
NH090 1892 Old MAP of Nashua - Ward 7, Edgeville. NH091 1892 Old MAP of Nashua, Wards 3 and 7. NH092 1892 Old MAP of Nashua, New Hampshire (NH), River to Kinsley Street, Hanover Street to Main Street. NH093 1892 Old MAP of Nashua, Main Street to Ritter Street, Kinsley Street to Lovell Street. NH094 1892 Old MAP of Nashua, Laton to Temple St., Perham Ave. to Concord & Main Streets. NH095 1892 Old MAP of Nashua, Ledge & Canal Streets to Kinsley Street, Cemetery to Wilder Street; Atherton Park. NH096 1892 Old MAP of Milford, New Hampshire (NH). NH096A 1892 Old MAP of Hollis, New Hampshire (NH); inset of Hollis P.O. NH097 1892 Old MAP of Hillsborough, New Hampshire (NH). 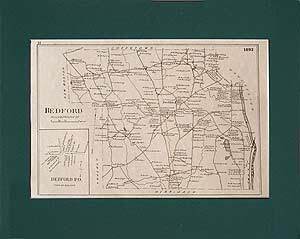 NH098 1892 Old MAP of Milford P.O., New Hampshire (NH). NH099 1892 Old MAP of Hillsborough Bridge P.O., New Hampshire (NH). NH100 1892 Old MAP of Hudson P.O., New Hampshire (NH); Merrimack P.O. ; Thornton Ferry P.O. ; Reeds Ferry P.O.